In the network era, the demand for greater traffic capacity, higher bandwidth, and better performance over longer transmission distance have never stopped. Under such a context, the optic transport network (OTN) has undergone great changes to survive. At the moment, FS provides their all-in-one dense wavelength division multiplexing (DWDM) OTN solutions. 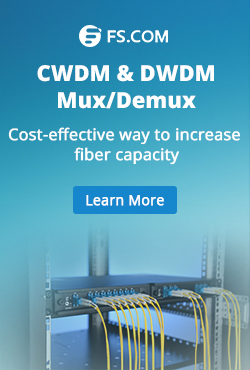 In this post, we will share one of the most popular DWDM solutions: FMT 4000E. Dense wavelength division multiplexing is a technology based on wavelength-division multiplexing (WDM). It combines or multiplexes data signals from different sources for transmissions over a single fiber optic cable. At the same time, data streams are completely separated. Each signal is carried on a separate light wavelength. In most cases, the dense wavelength division multiplexing technology is applied in metropolitan network. Defined by the ITU Telecommunication Standardization Sector (ITU-T), OTN is a set of optical network elements (ONE) that are connected by optical fiber links. Sometimes, it’s also called the digital wrapper technology which provides an efficient and globally accepted way to multiplex different services onto optical light paths. This technology provides support for optical networking by using WDM unlike its predecessor SONET/SDH. It’s able to create a transparent, hierarchical network designed for use on both WDM and time division multiplexing (TDM) devices. The OTN is able to support functions, like transport, multiplexing, switching, management, supervision, and builds OTN client (e.g. SONET/SDH, IP, ATM) connections in the Metro and Core networks. The DWDM based network refers to a kind of dense wavelength division multiplexing technology based OTN solution. 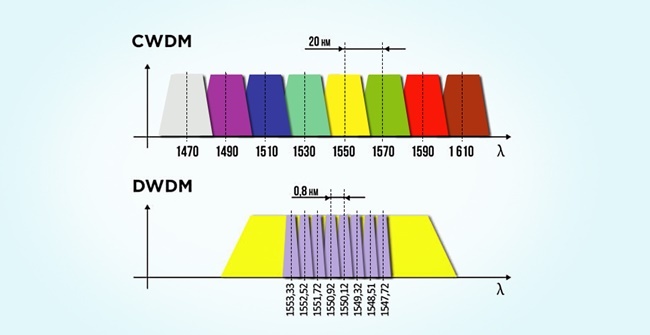 Compared with CWDM, the DWDM uses more sophisticated electronics and photonics, which makes its transmitting channel are narrower than CWDM channels. Therefore, for a DWDM network, it can support more channels and separate wavelengths (up to 80 wavelengths). It can transmit data in IP, ATM, SONET, SDH, and Ethernet. For it’s protocol and bitrate independent, the DWDM-based OTN networks can carry different types of traffic at different speeds over an optical channel. 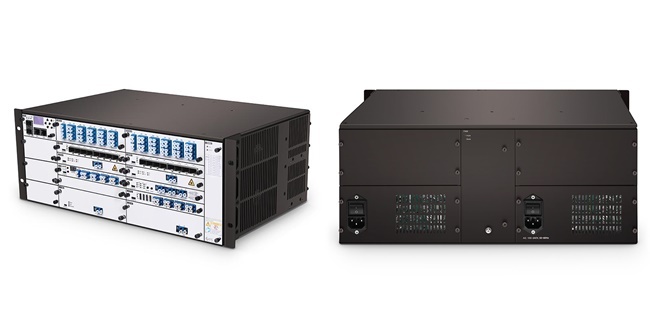 In order to make the DWDM OTN deployment easier, FS has launched the high integration FMT WDM transport networks, such as FMT 1800 and FMT 9600E. In this post, we will mainly introduce the most popular solution: FMT 4000E. The FMT 4000E is a device that combines the OTN switching and dense wavelength division multiplexing features and provides unified transmission of all services. It integrates DWDM equipment with OTN function cards (EDFA, DCM, OEO) in a 4U form factor. With FMT 4000E, you can extend the optical link power budget for building long-distance dense wavelength division multiplexing solutions. Supports up to 40 wavelengths via the dual fiber bi-directional transmission mode. 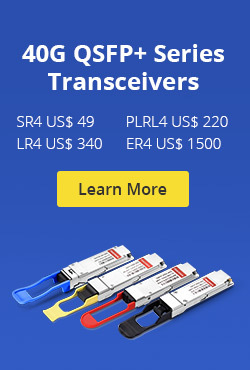 Transmits up to 100 km with DWDM SFP+ 80km at the rate of 10Gbps. Optional function cards to meet various needs (WDM Mux/Demux, EDFA, DCM, OEO). Dual AC or DC pluggable power supply and fan unit. Supports SDH/SONET, PDH, Ethernet, SAN, LAN, video service transport. Scales easily for the ring, end to end and mesh networks. Suitable for the enterprise, medical, Storage Area Networks (SANs), data centers, campus optical network and video surveillance. Scalable solution for customers to expand capacity as needed. And operating costs and vital resources are greatly saved. Ensure the maximum bandwidth for the required capacity and transmission distances. Fully managed, configured and monitored remotely via FS.COM intelligent network management unit. Simple installation, operation, and maintenance. Standards-based and can integrate with third-party solutions. The solution can be customized to suit specified customer application requirements. Note: This solution does not come with OPM, OPD, OLP, OSW card. Obsessed with higher bandwidth applications and the simplest operation, the OTN has broken through its traditional operation and make inroads into the highly integrated OTN. Undoubtedly, the DWDM solution will be the one having the last laugh after networking ups and downs. To share that last laugh, FS provides its DWDM solutions for multi-service optical transport over ultra-long distance: FS WDM Multi-service Transport (FMT) series. They help our customers to build an access transport network with more flexible service access, easier operation, and lower OPEX. This entry was posted in Network Solutions and tagged DWDM, dwdm network, dwdm solution, FMT 4000E, metro networks, optical transport network, otn on November 16, 2018 by Camilla.Zhang.